What is the function of the rings on broadswords? 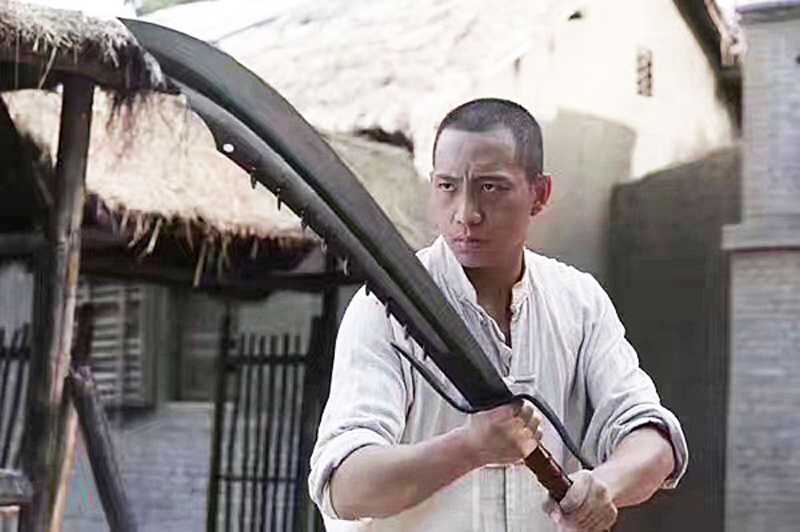 We often see the broadswords with rings on the blade back in the movie and TV series. 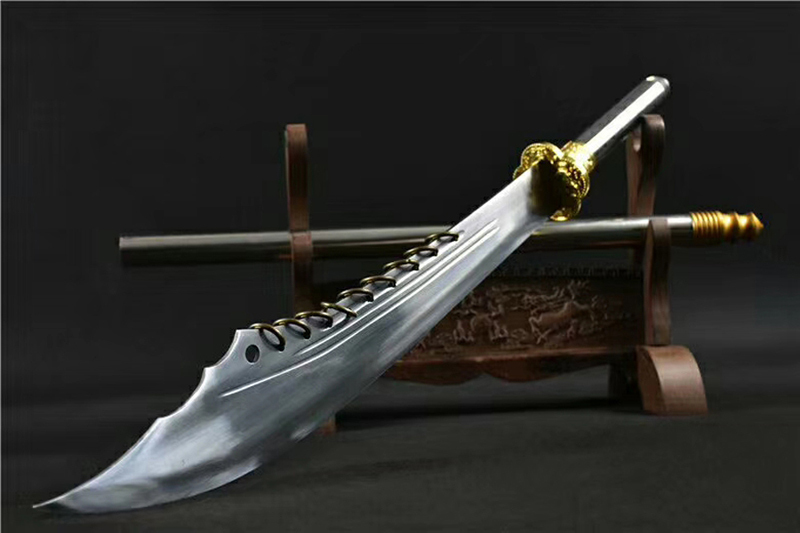 Some broadswords are usually named after the number of rings. There are indeed ring-broadswords in ancient weapons, but what is the function of the rings? 1. Inertia, adjust the center of gravity, increase the slashing and lethality. When the broadsword is erected, the rings hang down, and the center of gravity of the sword will be offset in the direction of the hand, so that the hand can control the whole sword. 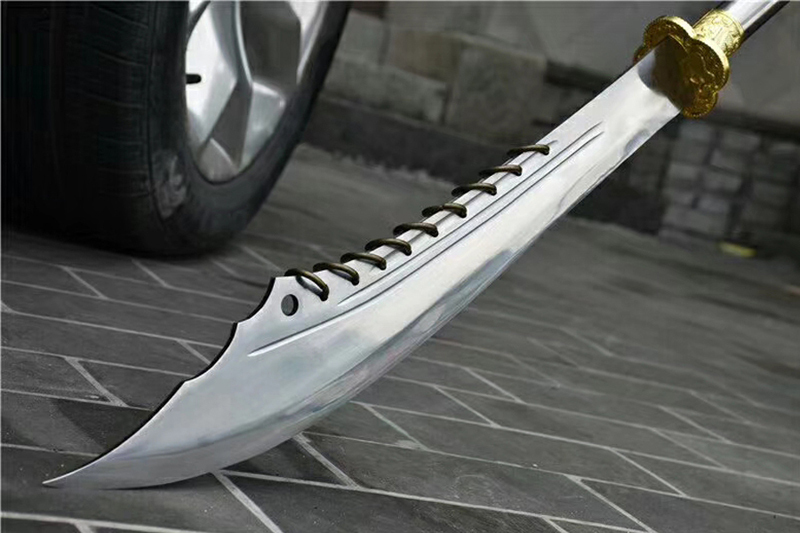 When slashing with force, the rings will move forward with inertia, and the center of gravity of the sword will shift toward the direction of the cutter head, thus increasing the slashing and lethality. 2. Forestall the enemy by a show of strength, shocking and intimidating the enemy. When confronted with the enemy, shake the ring, make a creaking sound, and publicize your voice to shock and intimidate the enemy. 3. Be confident and never stab in the back. The martial arts masters are usually very confident in their martial arts. When they compete with their opponents, they dance their broadswords in their hands and shake the ring to make a sound, indicating that he is a bright and straightforward match with his opponent, and never hurt anyone with a stab in the back. 4. Hook the ring, easy to draw the sword. When cutting vigorously, some wide and heavy swords are easy to cut in but can not be drawed out. This situation will also be encountered when we cut wood and bones in our lives. When the ring broadsword is cut in very deep, it is very difficult to pull out the sword by gripping the handle. At this time, you can use the finger of the other hand to hook the ring and forcefully draw the sword together.